Peace talks between the Afghan government and the Taliban, backed by Pakistan, could be back on in early 2016. Stalled peace talks between the Afghan government and the Taliban could pick up early in the new year, according to officials from both Pakistan and Afghanistan. Reuters notes that the talks would pick up with Pakistan’s imprimatur and support, resuming a process that disintegrated late in the summer. 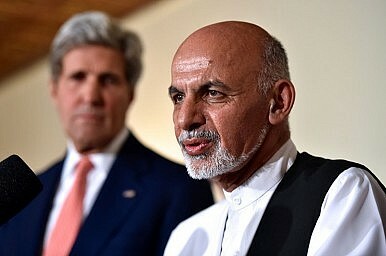 Afghan President Ashraf Ghani’s cautious rapprochement with Pakistan floundered after his government accused Islamabad of backing Taliban militants in Pakistan in August 2015. The possibility of renewed peace talks suggest the relationship between Kabul and Islamabad has improved since that falling out. In a particularly important high-level interaction between the two neighbors, Pakistan’s chief of army staff, General Raheel Sharif (no relation to the prime minister of Pakistan, Nawaz Sharif), is slated to visit Kabul this week. General Sharif was in Washington in November where Afghanistan was a topic of discussion with his U.S interlocutors, who included U.S. Vice President Joe Biden and U.S. Secretary of Defense Ashton Carter. The United States supported the Pakistan-brokered peace talks between the Afghan government and the Taliban over the summer. China, Pakistan’s closest ally in the region, also supported the talks. The possible resumption of peace talks comes at a particularly troubling time for the state of Afghan security. As officials in Kabul and Islamabad hinted that talks could be back on, reports emerged that Taliban fighters had made important advances in Helmand province. The insurgents’ ability to regain territory from the Afghan government was particularly underlined in late September when, in a rude awakening for the United States and the Afghan government, the large Afghan city of Kunduz fell, becoming the first city of its size to fall to the Taliban since the U.S. invasion back in 2001. Heading into 2016, the stakes for sustained peace talks will be higher than they have been in recent years. Through 2014, the Afghan government was gaining administrative stability and the security situation appeared mostly stable, if fragile. Since 2014’s fraught election and the subsequent entry of the national unity government, the Taliban has stepped up its ground game, gaining territory across the country and threatening Kabul’s ability to successfully administer the country’s hinterlands. Additionally, as September’s offensive in Kunduz showed, the Taliban’s appeal among non-Pashtun groups has increased as well. 2016 will prove to be a pivotal year for Afghanistan. Pakistan’s role will be key in determining security outcomes in Kabul. Peace talks can only succeed as long as Islamabad is prepared to constrain the Taliban and ensure they sit at the negotiating table with Ghani’s government. Without that, the Afghan government may find itself running out of time for peace talks and slide into a seemingly perpetual struggle for territorial control with the Taliban. Peace may remain elusive for Afghanistan, but outreach to Hezb-e-Islami will be an important stepping stone in getting there.